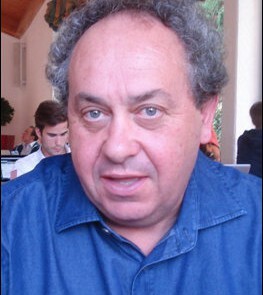 Rafael Sardá is Senior Scientist of the National Council of Research (CSIC) since 1991. He is doing research at the Coastal and Marine Social-Ecological Systems Unit of the CEAB. Associate Professor of the Operations and Innovation Department of ESADE Business School (www.esade.edu) since 1993 teaching Environmental Management Courses, and cofounder of the Business and the Environment group of the Global Alliance of Business Schools (CEMS) (www.cems.org). Bachelor Degree in Biological Sciences from the University of Barcelona (1979). Ph.D. in Marine Ecology (Extraordinary Award of the University in 1984). Fulbright Postdoctoral Scholar in the Marine Biological Laboratory (MBL) of Woods Hole (MA-USA, 1986-1988). Master in Business Administration (MBA) by the ESADE Business School of Barcelona (1989). Associate Scientist fellowship of the Boston University in the MBL (1995). Rafael Sardá is developing research and applications in the frontier between social and ecological systems, how they work and interact, how to cope with present and emerging, local and global environmental problems and the role, if any, that science and regulations might play in it. His most basic topics of research include Integrated Coastal Zone Management (ICZM) and Ocean Governance, Soft-bottom Marine Benthic Ecology, and Sustainability. He is author of around 150 research papers. He has been the responsible leader or co-leader in more than 20 national and international research projects. He has been the Director of 10 Doctoral Thesis and a very large number of Master Thesis. He is representing the CSIC in international expert group consultations on coastal and marine research affairs.